Synopsis: Good email marketing has become increasingly dependent upon the ability to store and manipulate more relevant data about customer behaviour and by using efficient tools and methods to send highly personalised and automatic messages. Cloud storage technology takes these basic concepts to new heights by significantly increasing the amount and type of data that can be stored about customers, products and behaviour. That data, together with personalisation and email automation tools, can be used to create real-time 1-1 targeted messages faster than typical email marketing systems. 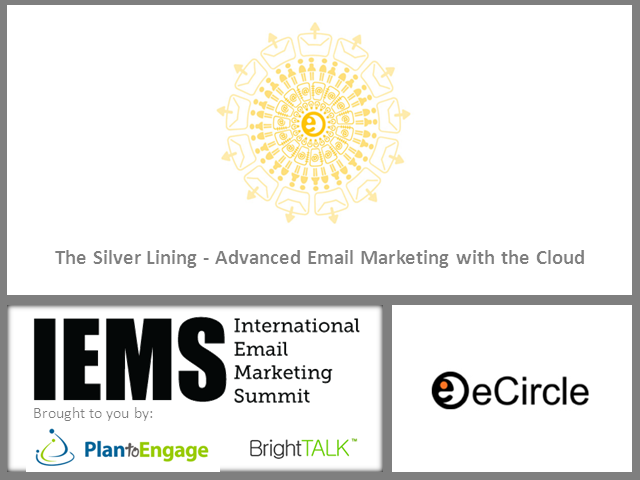 In this presentation learn how big brands are using eCircle’s leading Cloud technology to maximise their ROI through clever email marketing.